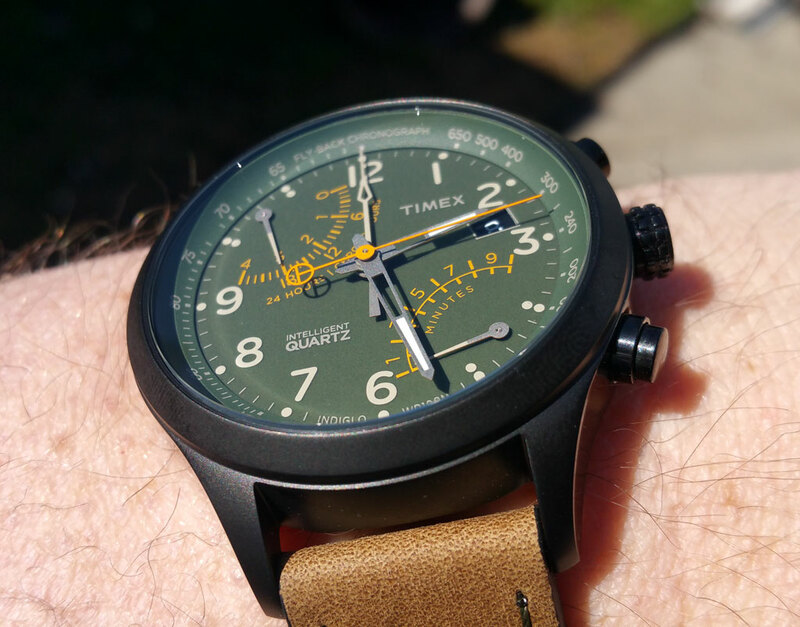 Timex Intelligent Quartz flyback chronograph. Finally arrived today. It was in a suburb of Detroit on Thursday, and was scheduled for delivery that day, and then it disappeared into the USPS dimension. It reappeared this morning and is now on my wrist. I'm trying not to spend on watches, but I nabbed this for $55, so it wasn't a major purchase. It's a very good looking watch, and the movement is really cool. 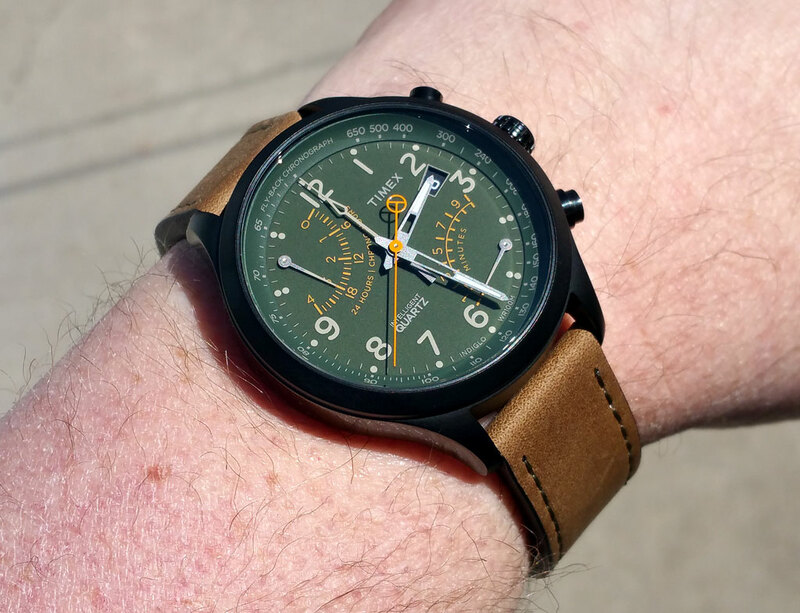 The case is 44mm in diameter, and the fairly nice leather strap actually fits me. The orange center hand is the constant seconds, and is always running. The gray center hand is the chrono seconds, and it moves in 1/5 second increments. The bottom right dial is retrograde chrono minutes, and the upper left dial is chrono hours, up to 4. The upper dial also serves as an independently adjustable GMT hand, with midnight at either end and noon in the center. Fun to play with.